This class is one of two complementary workshops in which we will examine the relationships between the thorax and the pelvis. We will utilize the Two Way Operator model of seeing, as well as the functional model of G and G’ to guide our exploration. 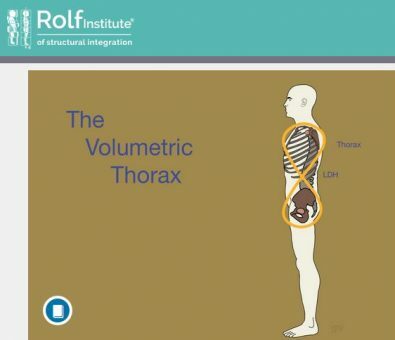 In this class we will focus on detailed anatomical relationships of the volumetric thorax. We will discuss new perspectives on how we can use touch to change the ways our clients perceive their bodies. We will examine the implications of those perceptions on our structure, function, and the experience of pain. Central to my teaching are the following questions: What is Integration? What does Integration look like? How can we facilitate Integration? It is not my goal to answer these questions in a definitive way, but to invite an inquiry into different paradigms of thinking – from traditional bio-mechanical perspectives to elements of current research in perception, cortical maps, and pain science. Juan David Vélez is a Faculty member for The Rolf Institute® and has been teaching in all phases of the basic training for twenty years. His passion lies in the philosophical framework of the work. 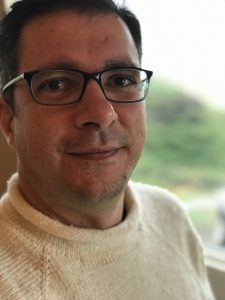 As a teacher, his goal is for students to understand the material with a depth and clarity that allows the material to be a launching pad for their own creativity. 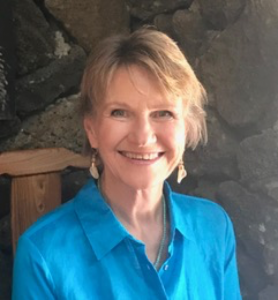 Sally Klemm, Guest Instructor has maintained a private practice in Hawaii over the past thirty two years. A member of the Advanced Faculty for The Rolf Institute®, she is delighted at the prospect of Juan David teaching on Oahu. 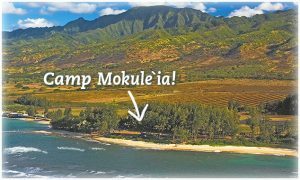 Camp Mokule`ia (Place of Abundance) is located on the beautiful, pristine North Shore of Oahu at the foot of the Waianae Mountain Range. The oceanfront location, with more than ¾ of a mile of beach to walk on is home to honu (sea turtles) and the occasional monk seal. It is ideal for swimming, snorkeling, kayaking, surfing, or relaxing to the gentle lap of waves, the splendor of the rising and setting sun, or stargazing in the quiet night. Nearby, there are trails for hiking and biking, a natural area reserve and even the opportunity for skydiving, gliding, and horseback riding. Beyond the plains rises Mt. Ka’ala, the highest point of the Waianae Mountains and Oahu, accessible through nearby biking and hiking trails. Just a few miles to our west lies exquisite Ka’ena Point the westernmost tip of Oahu, and a place of great cultural significance. There you will find a pristine costal dune area that is being powerfully restored to its native habitat, once again becoming home to native seabirds, the Hawaiian monk seal and a multitude of native plant life. 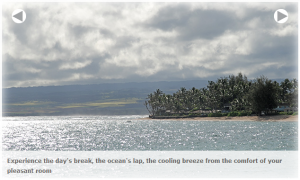 To our east lies the surf town of Haleiwa, the gateway to the North Shore — renowned for shave ice, huge winter surf, beautiful summer snorkeling, Pu’u O Mahuka Heiau and famous Waimea Valley. Upstairs: 8 rooms each with private complete bath, 2 twin beds, bedside table, card table, lamps, overhead fan and comfortable chairs. All linen is provided, and the views are some of the most wonderful on the island, just steps from the beach. Downstairs: 8 rooms which share a complete shared bathroom between every two rooms. 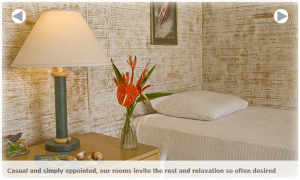 2 twin beds, bedside table, card table, lamps, overhead fan and comfortable chairs. All linen is provided. Your views are towards the ocean in these rooms. Group Kitchen: Refrigerator, and microwave are provided for convenience and common area. Meeting space: The Lodge common area will be our meeting space for the duration of the workshop, maximum participate is 18 people. Tables and linens will be provided for the workshop. The price of your accommodation includes a continental breakfast and “mostly” farm to table vegetarian lunch. Dinner is on your own. Historic Haleiwa Town is 10 minutes away. Please let us know in advance if you have any food allergies. Other Accommodations and camping are available on North Shore. 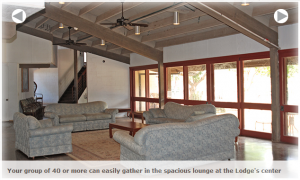 If you are not staying at Camp Mokule’ia, there is a daily $25 food and day guest fee. We can assist you with airport transfers if needed and a rental car is optional. Camp Mokule’ia is only 45 minutes from Honolulu and the International Airport. This looks fantastic. If it wasn’t next month! Please put me on your mailing list for a future class….2019 I will come join you. Thank you for the information. Please keep me posted on your upcoming workshops.